Sound machines can be a great alternative to expensive soundproofing projects for getting a good night’s sleep. To help introduce you to this idea, I will be comparing two of the top machines you can buy today. This will be a LectroFan vs Marpac sound machine face-off of sorts, where I can take a deeper look into why these two particular sound machines are so popular. Then I will compare the pros and cons of each machine to help find out which one is best for you. So let’s get started! Which Sound Machine is Right for You? 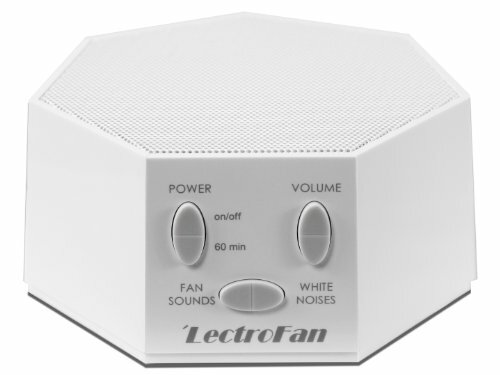 The LectroFan is the highest rated white noise sound machine available on Amazon. It has earned that honor by being a versatile sound machine that comes with 10 non-repeating fan sounds as well as 10 non-repeating unique white noise sounds. Each sound is very unique and very distinctive which is designed to help lull you to sleep naturally. You won’t have a problem hearing this machine because it comes with an adjustable multilevel volume control so you can turn it up as needed when the outside noise is bothering you. A 60 minute sleep timer is also included with this sound machine which is great for saving electricity. The LectroFan sound machine is attractive to many people for its size. Measuring just 4.4 x 4.4 x 2.2 inches, and weighing only one pound makes the LectroFan sound machine the perfect size for travel. This is great for those who have to travel a lot for work and want to get a good night of rest while away from home. But don’t let its tiny size fool you because this machine has multi-band parametric EQ speaker compensation that puts out great quality sound. Another great feature that is included with this machine, is its ability to be powered by the USB port of your computer. For those who wish to plug the machine directly into an outlet a 100 to 200 VAC AC adapter comes standard with this machine. One thing this sound machine does not have, is natural sounds. There are no water sounds which many people find very soothing. So if you are looking for a sound machine with sound tracks such as a trickling stream or a rain storm, then this may not be the one for you. What is does have though, is 20 different sound profiles that help mask sound. You get 10 white noise sounds, and 10 electric fan sounds. Combine all those different options with the volume control, and you see why it’s so popular. The top selling sound machines is the Marpac Dohm DS. Instead of an actual speaker, this sound machine has a built-in fan that creates a white noise sound, and will help you block out any background or outside noise. Powered by a 120V cord this machine has enough power to run the dual speed fan with ease. The dual speed fan creates a natural rushing air sound that is perfect for getting a great night rest. This sound machine is great for those who have a baby or people who do shift-work and need to sleep during the day. 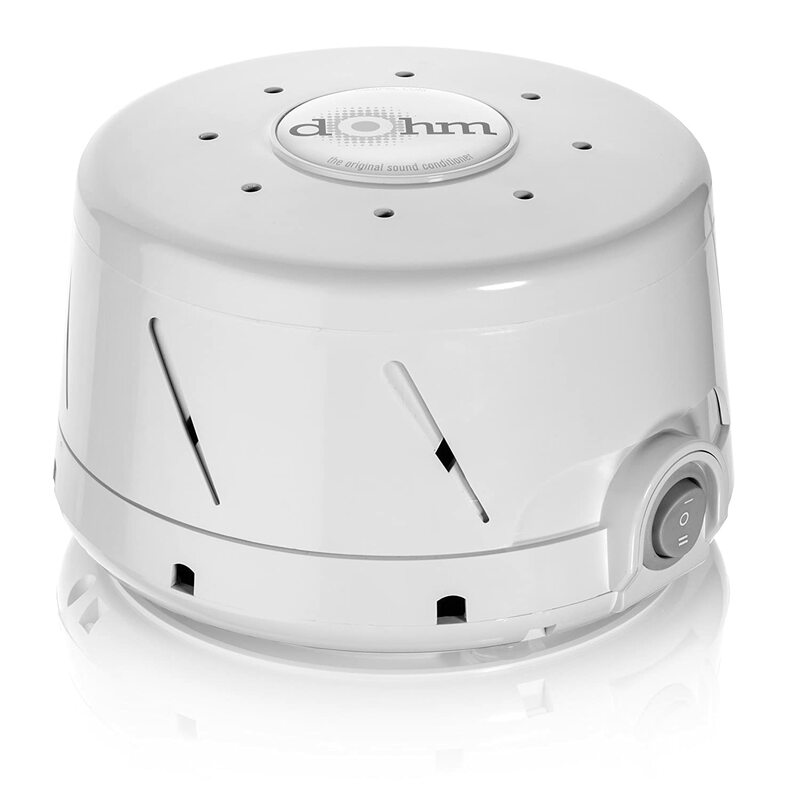 The Marpac Dohm DS sound machine is the official sound machine of the National Sleep Foundation so you know you will be getting a high quality machine. Made in the USA, this machine comes with a limited one year warranty and is made from durable plastic. It is a sleeker looking machine compared to the LectroFan, comes in three different colors, but it is also larger. The dimensions for this unit are 5.8 x 5.8 x 3.8 inches and it weighs 2 pounds. One of the drawbacks to this sound machine is its limited power source. It only runs on 120 volts so traveling to another country with it could be difficult. People who have purchased the LectroFan sound machine say that they love the machine because of its ability to go anywhere. They also love the variety of different sounds, and the fact that they are non-repeating tracks makes them wake up less during the night. 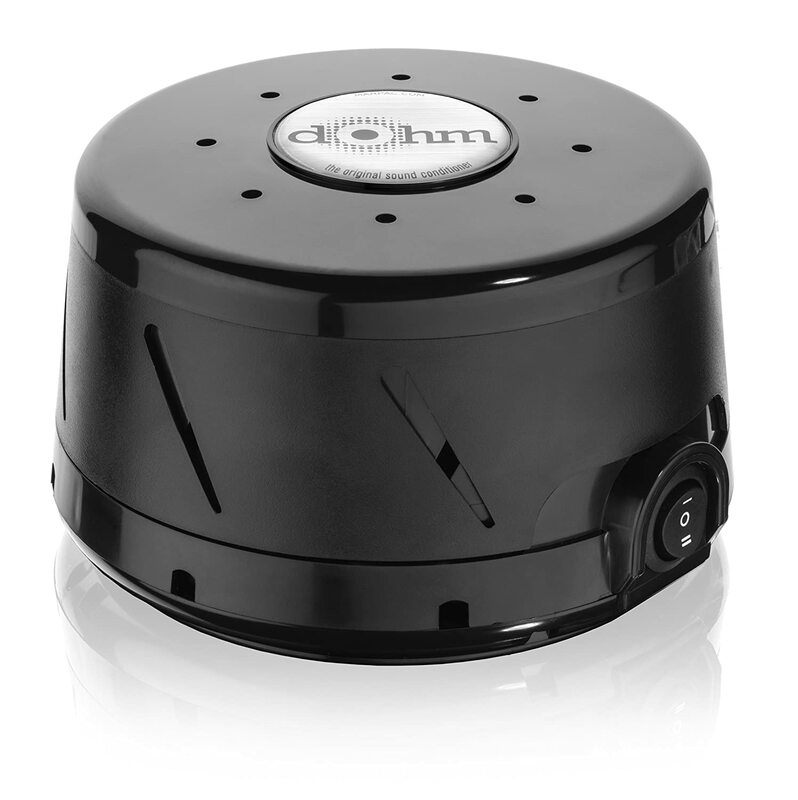 Those who have purchased the Marpac Dohm DS machine say that this model’s strength is its natural sounds. Many people have purchased this machine for their nursery and it gets high reviews for helping babies sleep more soundly. Only the loudest of outside sounds seem to overcome the Marpac’s white noise. Both of these machines are very nice, and they should each get the job done for you most of the time. If you are a traveler that frequently has to go overseas, the LectroFan, with its power adapters and USB power cable, make it the best option for frequent travelers. The Marpac Dohm DS sound machine is unable to run on different voltages and its larger size this machine is better suited for home use. If you are more interested in a sound machine with a more natural sound profile, then the Marpac Dohm DS sound machine is a great choice! With its built in fan you won’t find a more natural sounding unit. There is just something special about actually hearing the wind blow instead of a recording. Each of these machines would do a great job of helping you get some much needed rest but you have to decide which one has that special something you like more about it. If neither strike you as a good option, you should check out my other guide on the Top 10 White Noise Machines. Turn the Electrofan over (face down) and it will further change the sounds. I recommend this unit to find the sound that will help you sleep. Thanks for the good tip Jim! I feel like the LectroFan has a much cleaner, sleeker look to it than the rather bulky and dog-bowl shaped Dohm, but everyone is different. Also, the LectroFan uses an algorithm that randomizes the noise/sound tracks so your brain never recognizes they are looping! Good point Rick. Either could certainly work better for some people, it’s a matter trying them out and learning what sounds will send you off to sleep. I’ve been a Dohm user for years and years- long before they called it Dohm! Unfortunately, with the real motor inside they always end up with a hum. Sometimes it’s as early as the first year of ownership, and it’s just too expensive to keep buying them all the time. About 5 months ago I took a chance and tried the Lectrofan and I love it! As far as digital, manufactured sound, it’s definitely my favorite of all that I have tried (and as a nanny, I’ve tried them all). Lectrofan also has a smaller footprint on my nightstand and doesn’t have the moving parts, which means no hum or buzz. For now, Lectrofan is winning out for me, though most of the settings are useless. I guess you only really need one to work, though!